When a child is learning independently, they are taking full responsibility for their learning. Often homeschool families gradually move to this style of homeschooling as their students get older, particularly for high school studies. 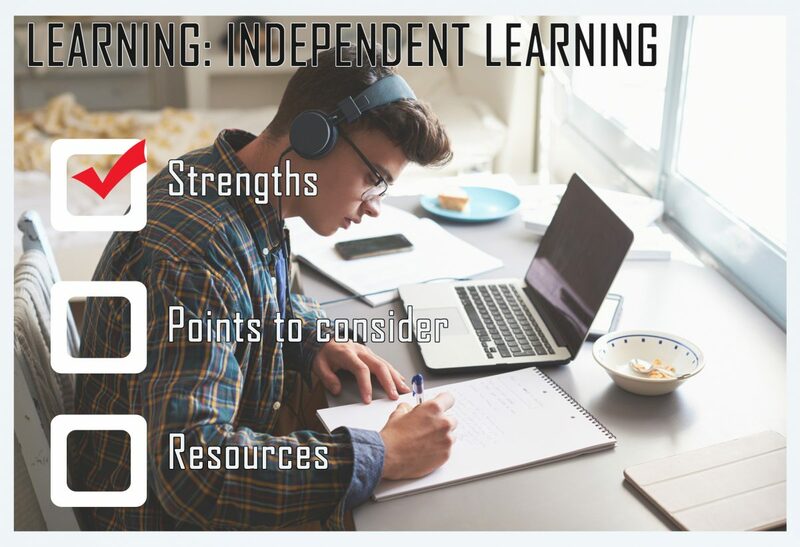 Following a structured learning plan, the child will read the lesson in the textbook (or watch the video), answer the questions or problems, check their work, study for the test, and take the test without parental involvement. The parent teacher may grade the tests and papers or help the student when they don’t understand something; but, for the most part the student is on their own. In a typical homeschool day, a student chooses when they study. For example: reading and note taking; review previously learned material; make some flashcards; present assignments or tests to the parent for marking; discuss or research something they are having difficulty with; and/or, make a study schedule for the next course or textbook they will complete.